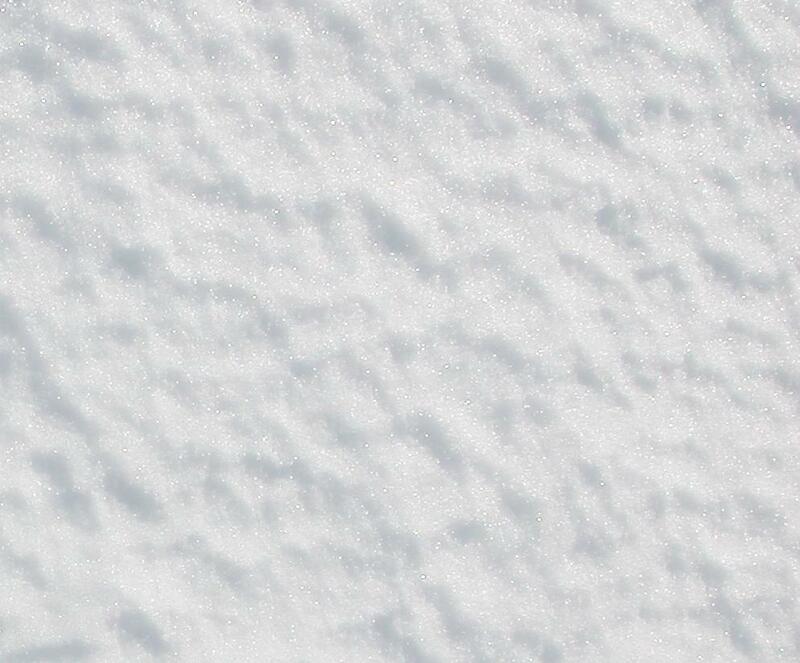 23 February 2014: Finally Some Snow, But For How Long? We finally got a little snow to cover the ice and ice crust in the Susitna Valley. 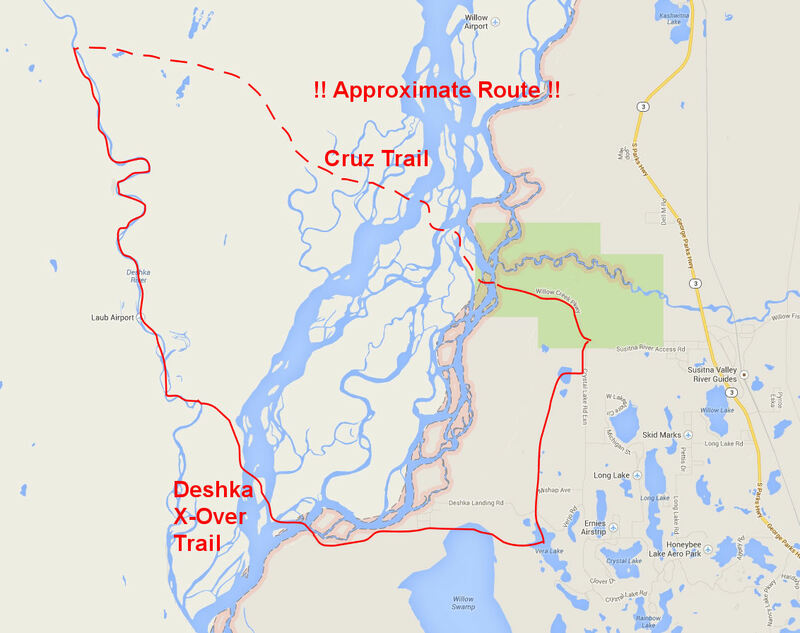 Trails around Willow and on the Big Susitna, Deshka and the Yentna Rivers came back to life. My wife and I went out to do some trail recon. Found some decent skiing. But am wondering how long it will last. Rain and 45 degrees is predicted in the next few days. 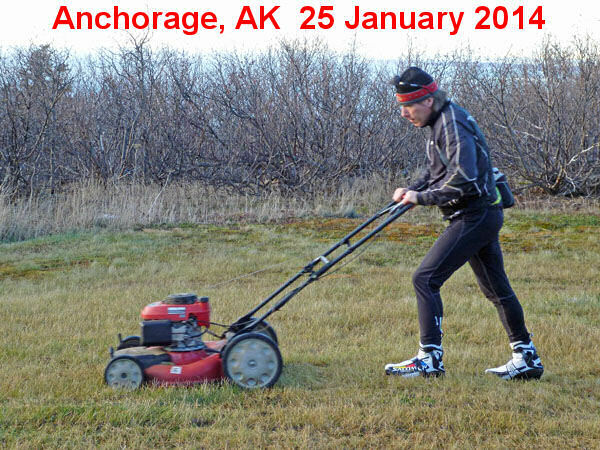 Trail skiing is not all easy distance. Sometimes you have to throw down sprints to make it up steep riverbanks. 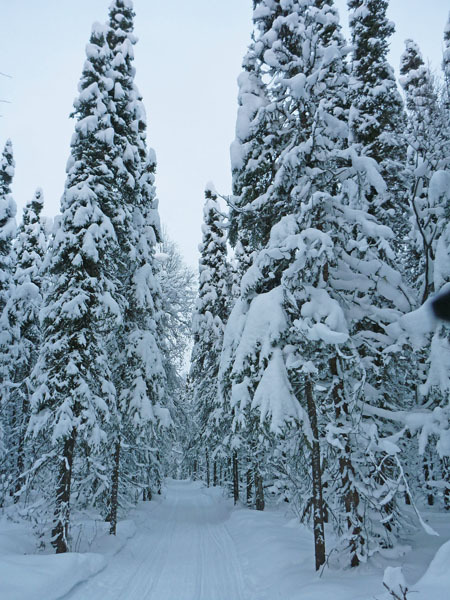 We were robbed of good trail skiing like this for over a month. 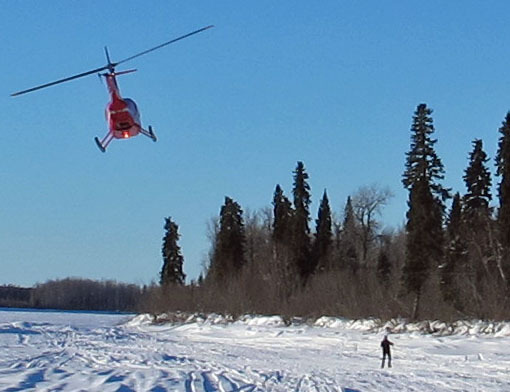 A helicopter checks out my wife as she skis on the Yentna River. 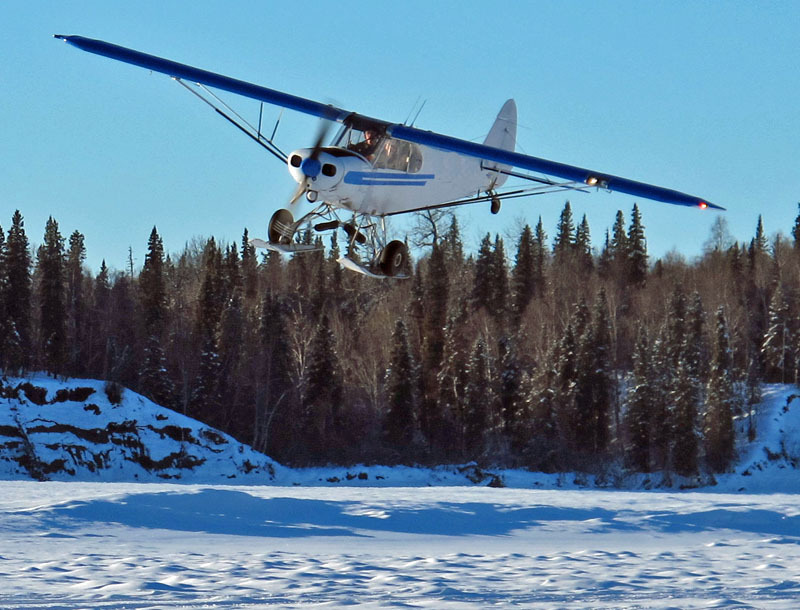 Around Iditarod time you find yourself often sharing the trails with small planes (passing a few feet over your head). 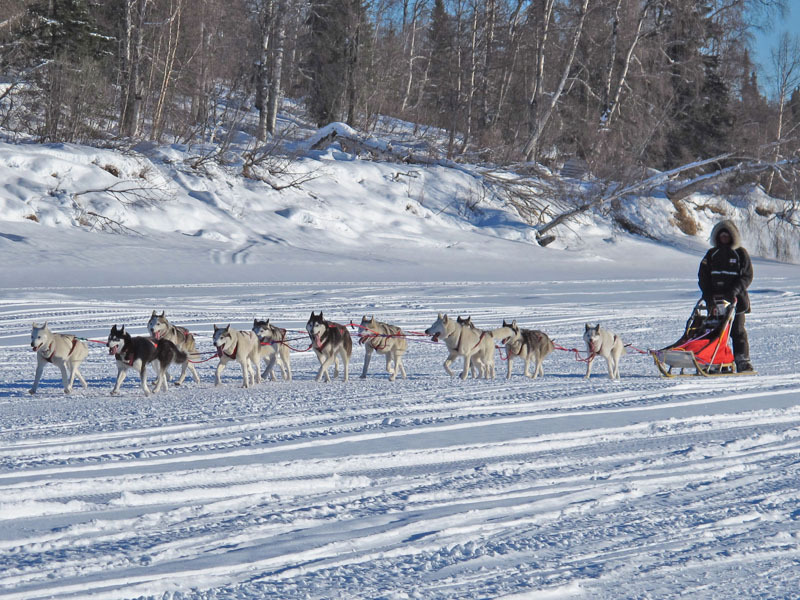 And of course, around Iditarod time you share trails with Alaska's best winter athletes - sled dogs. 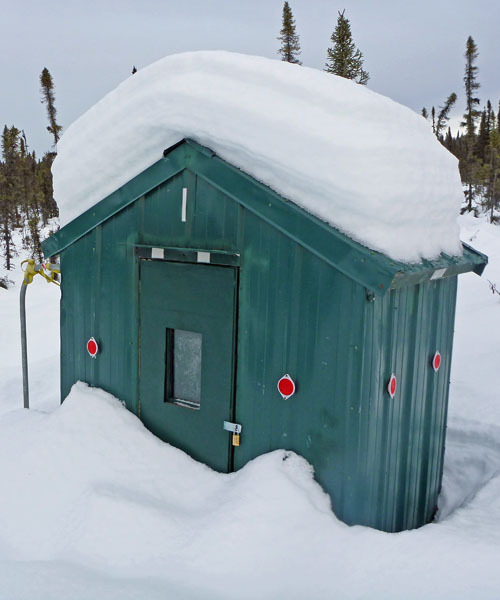 About 10 days ago someone pulled the power plug on the winter system in Southcentral Alaska. The winter system crashed hard and will not reboot. 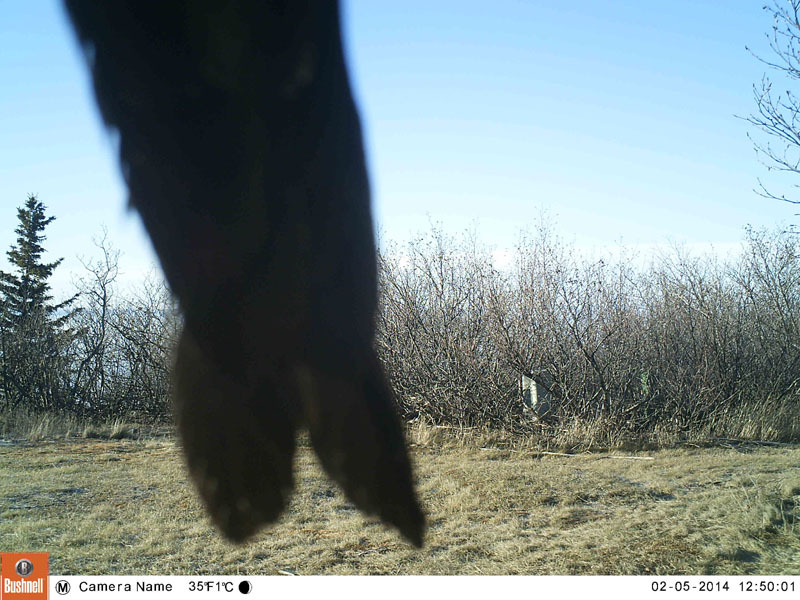 Until the Alaska winter system is back on-line, I will not be updating this web site. 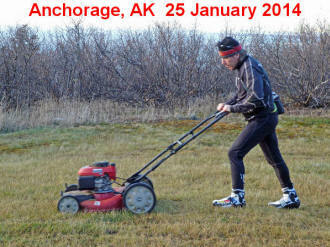 After Alaska's soggy mess freezes back up, we will once again need snow ... to get skiing conditions on backcountry trails back in the game. 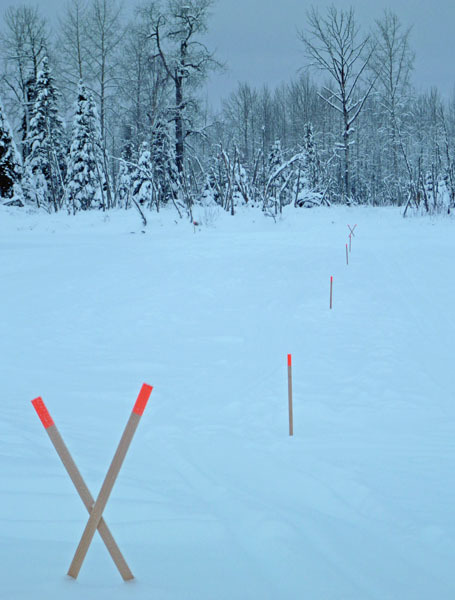 I've been skiing in the Susitna Valley, but no new routes to post. The above-freezing temps and rain have made Valley trails hit or miss. 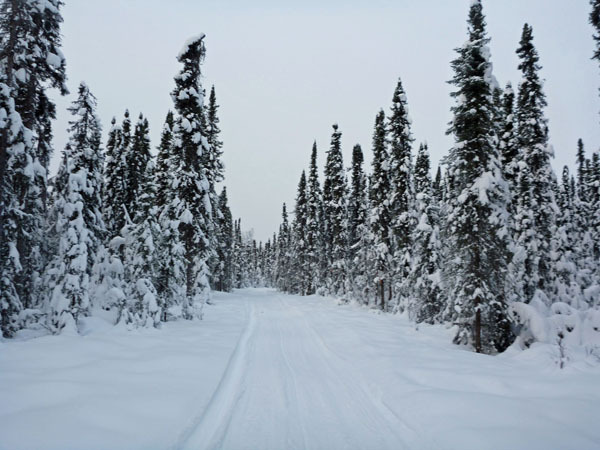 Woodland trails are pretty good, as long as there has been snowmobile traffic to churn up the icy trail surface. Swamps, creeks and lakes have a lot of overflow. Skiing on frozen overflow gets you across these areas. But if you go off the trail your feet are going to get wet. Untracked snow didn't get wet enough to crust-over. 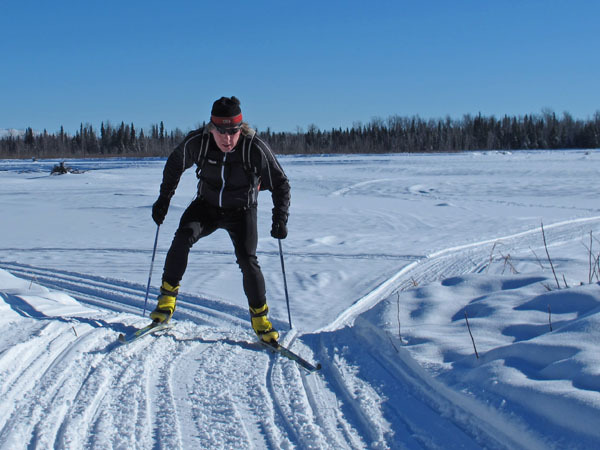 Here are a few recent pictures from skiing in the Nancy Lakes / Red Shirt Lake / Cow Lake area. 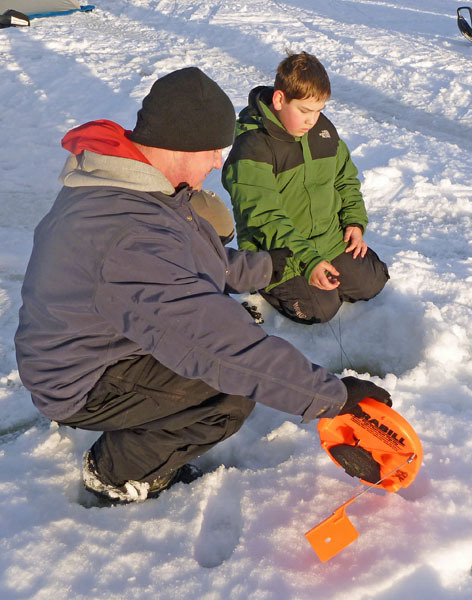 Intense ice fishing action on Red Shirt Lake. Lots of frozen overflow on the trails. Lots of unfrozen overflow off the trails. Abandoned ice fishing shanty in the swamp north of Cow Lake. Need one? Even with the warmth and rain - some good stretches of trail can be found in the Valley. 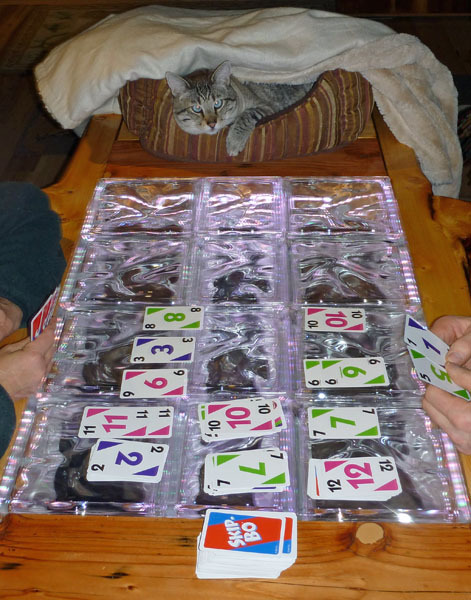 Apres-ski Skip-Bo battle, with a referee. 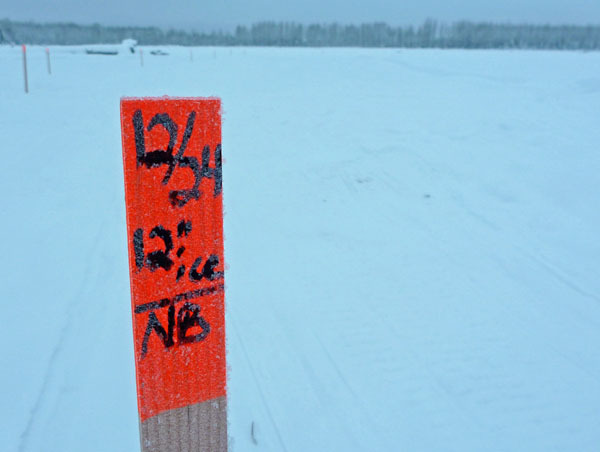 Cruz Construction is making an ice road from Willow Creek out across the Big Susitna and Deshka Rivers to a remote gas well drilling site. 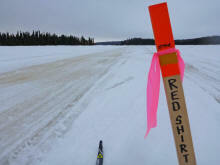 They built a "pioneer" ice road last year. 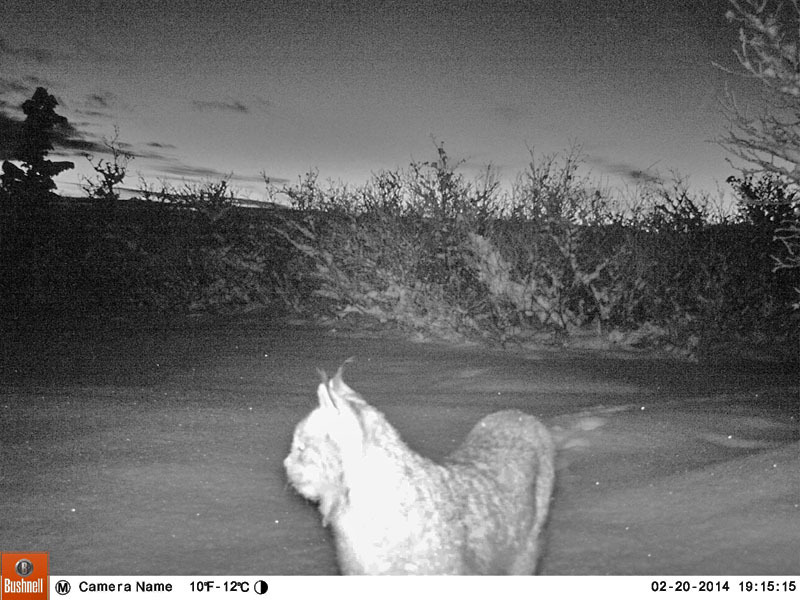 This year they plan on building a serious ice road so they can transport a drilling rig out into the boonies. 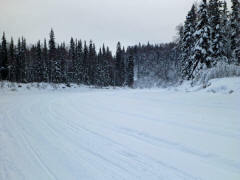 I went up to check out this ice road route. 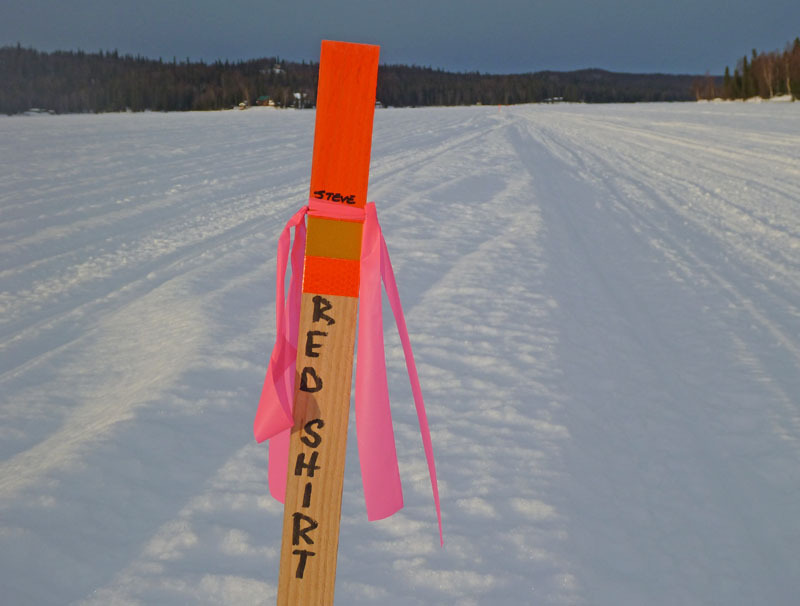 The ice road has not been built yet, but the route is marked. 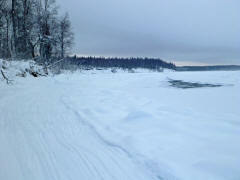 Much work is still needed to make ramps on cut banks and to build up the ice thickness on channel and stream crossings. 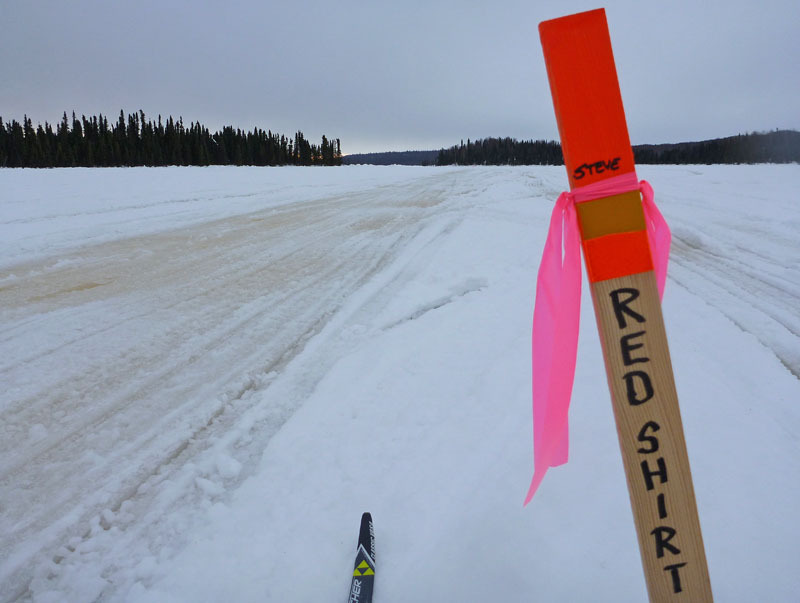 By mid February or so (just a guess) the ice road will probably be in. I forgot to turn my GPS tracking on, so the map shows the approximate route and I'm not sure how long this loop was (25 miles?). 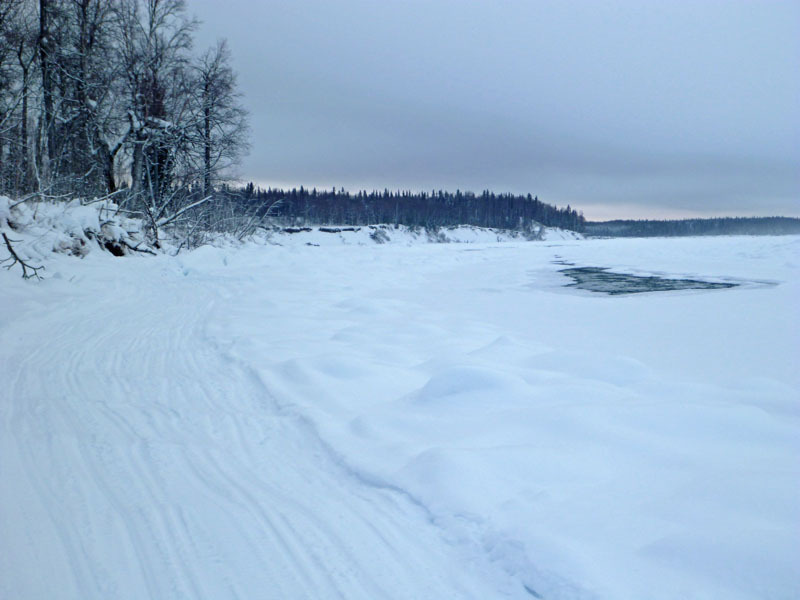 The ice road route goes onto the Delta Islands, which is a seldom visited area. 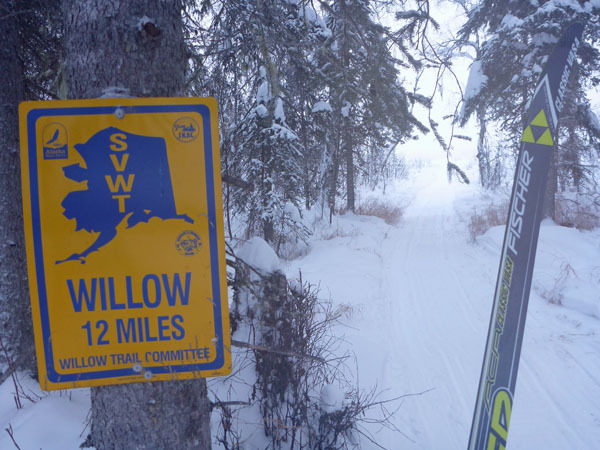 It was neat skiing the island section and making a loop by taking the Deshka River, Deshka Cross-over and Willow Trail Committee trails back to where I started (the cut-off to the Willow Creek Parkway/campground). Approximate route. 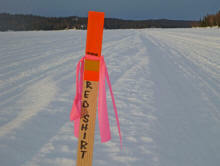 Ice road route markers placed by the construction crew. 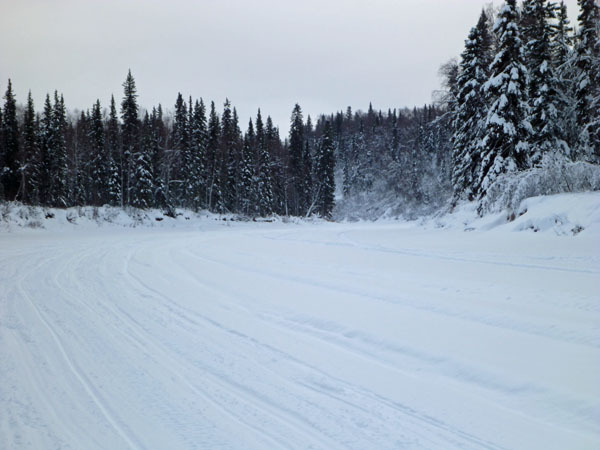 Nice trail on the ice road route nearing the Deshka River. 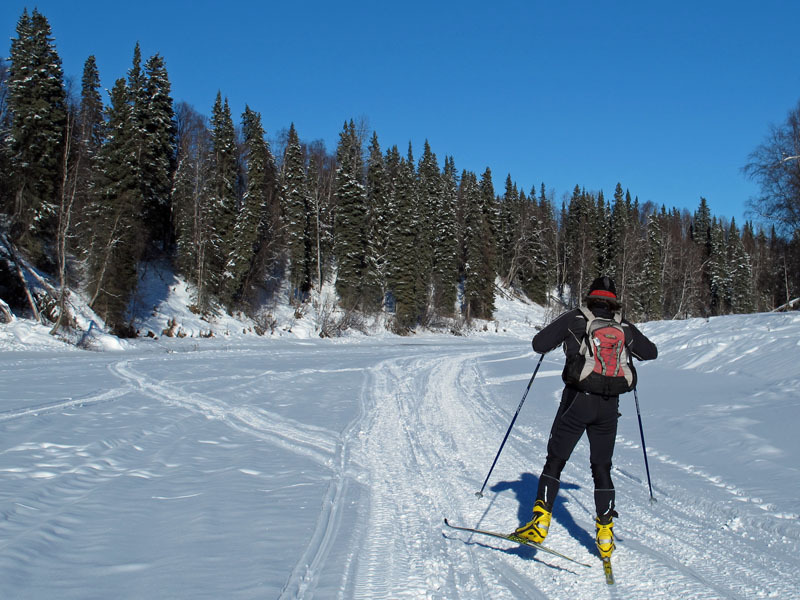 Skiing down the Deshka River. 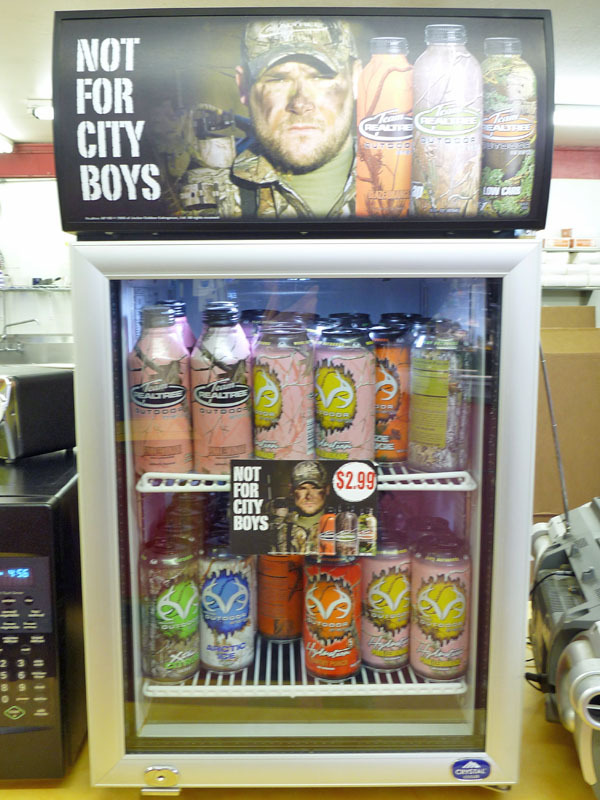 I like this area. 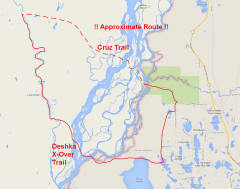 At the start of the Deshka (to Big Susitna) Crossover Trail. The trail hugs the bank to get away from an open spot. The wet fall we had means lots of wet or open areas still linger in the Lower Su Valley. The Willow Trail Committee's Almond Lake Trail - very nice.